Abbey Woods Academy is a Nursery and Primary School based in Berinsfield, Oxfordshire. Sponsored by the CfBT Schools Trust, Abbey Woods Academy strive to deliver excellent standards every day. 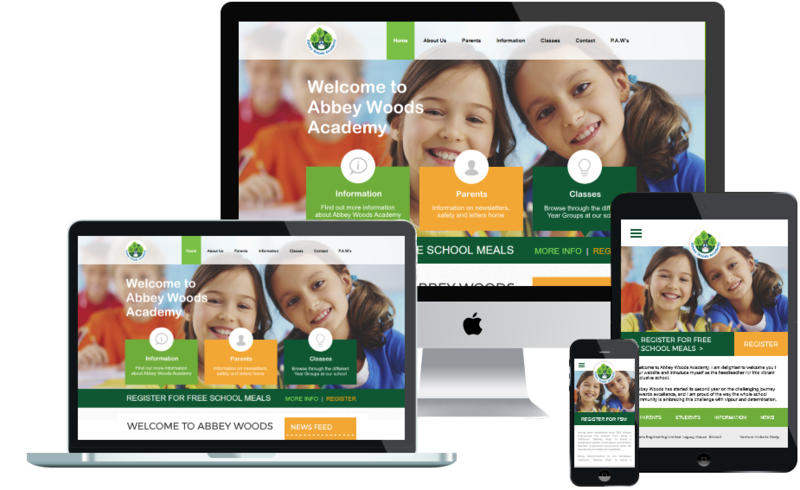 Abbey Woods Academy wanted a website that complied to both Department of Education and EU standards, but also approached and designed in an engaging way for both pupils and parents. The CfBT trust who sponsor the school wanted to see consistent navigation throughout the website and a managed feature to keep the site compliant. We wanted a slick design and the team at Venture delivered. They have served us very well and we will continue to recommend them to other schools and organisations.